I’m currently working on modelling the whole interior of the house my wife and I are buying. I’m one room in so far but I’ll cover that in detail in another post soon. 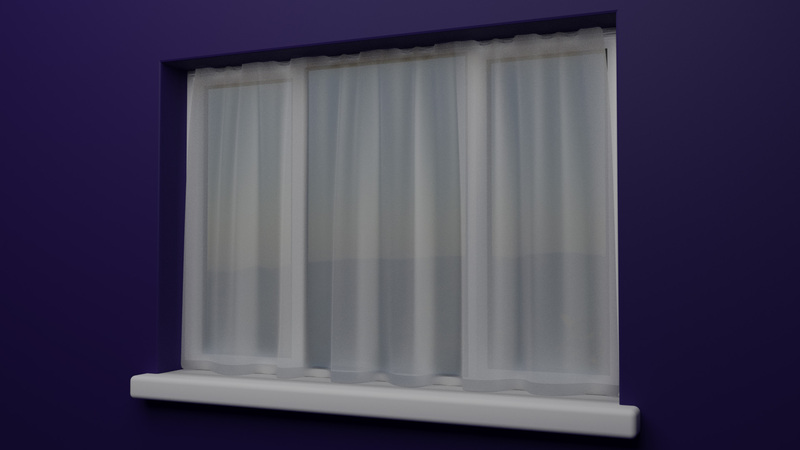 I hit a snag when I was trying to model the curtains for the windows though. 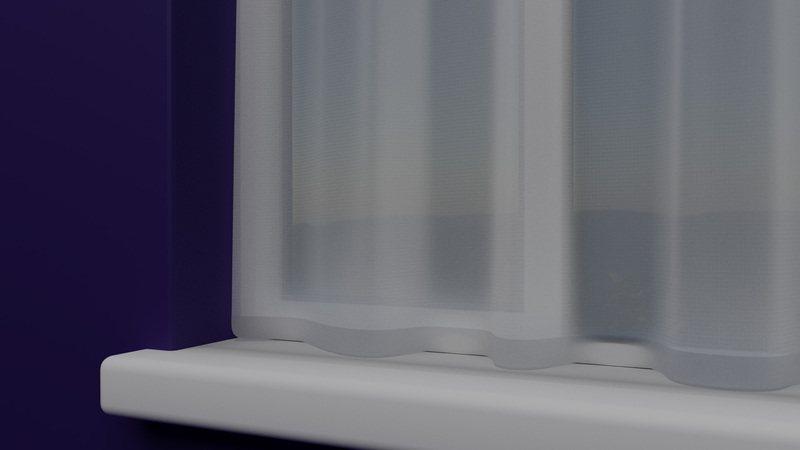 How on earth do you make a net curtain material? I tried using the translucent material, then I tried using it mixed with the transparent material but nothing seemed quite right. I had a brief chat with Alex Saplacan on the UK & Ireland Blender Users Slack group and he suggested using Wave Texture nodes to generate the lines in the fabric. After some fiddling about I came up with this which I think works pretty well. …and up close you can see the very fine fibres. Hopefully someone out there will find this useful. I hope to share more materials as I make them throughout this project. I might also have to think about changing the design of this site to make it easier to find them once there’s a decent library.